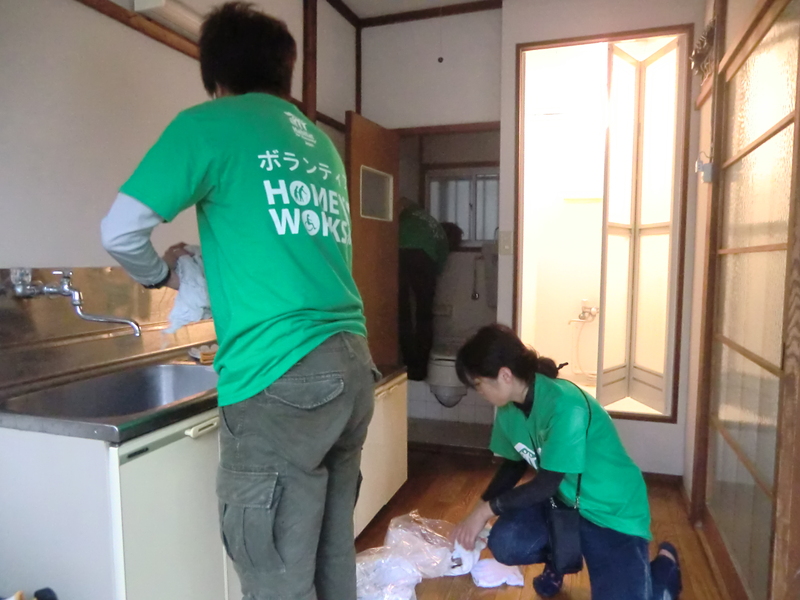 Project HomeWorks is a program in Tokyo to support senior citizens, persons with disability, low-income families/individuals, and other vulnerable people to improve their living conditions with volunteers. Many elderly and persons with disability face difficulties in keeping their home environment tidy and sanitary due to their physical limitations. Please join our work on the open volunteer day on April 27th, 2019!! Since Habitat Japan has subscribed to volunteer insurance, everyone who participates in the activity is covered by this insurance. This fee is incused in your participation fee. In order to cover with insurance, please be sure to enter your name, address, contact address, in the application form below. Casual clothing you don’t mind getting dirty, and sturdy (long sleeves and pants recommended), closed-toed footwear. - Small carry-on bags or a jacket with pockets to keep your valuables with you. Please leave unnecessary valuables at home. - Signed Waiver Form Please download waver from here.